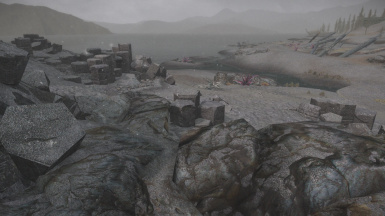 Applies the Better Dynamic Snow shader to ash objects in Solstheim. This mod depends in part on some of the meshes altered by Better Dynamic Snow. Without those meshes certain objects may not look right. I simply resaved the mod for the correct form version and optimized the .nif. I received explicit permission to repost.